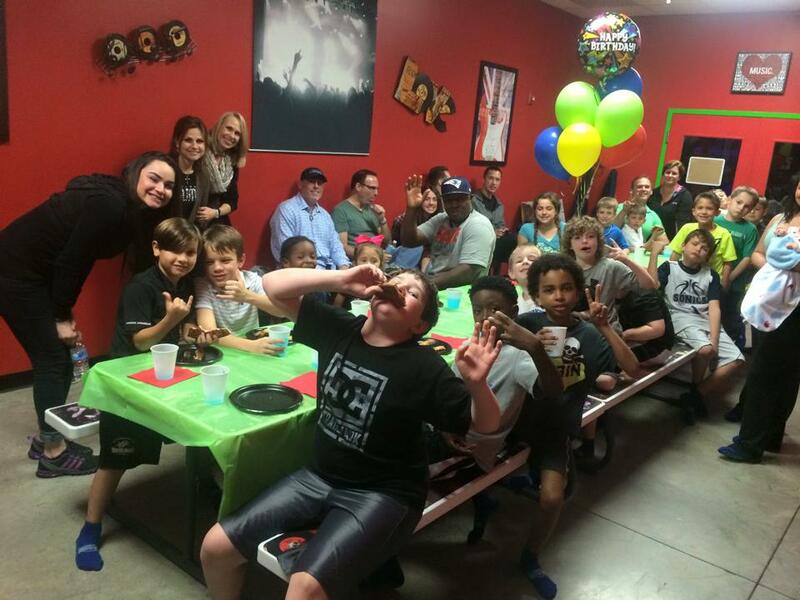 This Saturday, we went to Rebounderz for Trevor's 8th birthday party. Connor and Paige were both excited to run around and play with all the kids. I got a few pics of them in the arcade, and a few pics and a video of Paige on the trampoline. After a few minutes, they turned out the lights and turned on blacklights. It was really neat since Connor and Paige both had fluorescent colors on that glowed super bright. Unfortunately, my iPhone camera couldn't pick anything up at all with the lights out, so I didn't end up with much for pics. Gina, Trevor's mom, posted a cute pic of the group to Facebook, so I snagged it for the blog.